Next time you are able to practice some bunker shots, make accelerating through impact your swing thought. 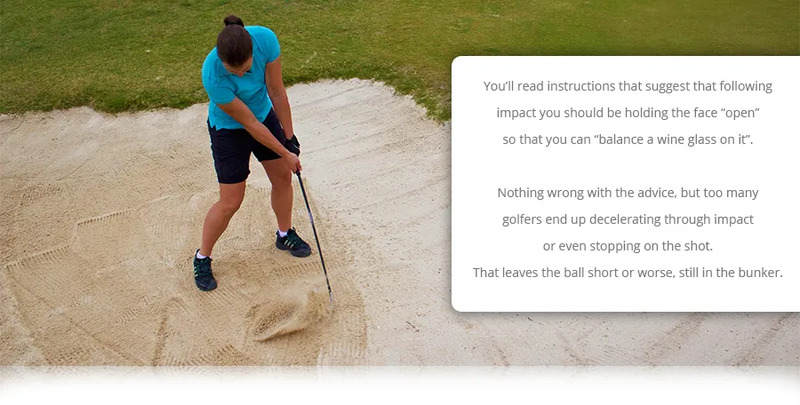 Bunker play is a great example of the danger of written instruction. Golfers have read a few guide points: Open the face, dig in the sand, aim behind the ball etc. ; and then tried to apply those. Looking around your friends’ and playing partners’ bunker play, how many would you think are good bunker players? Come and see us and let us make the bunker a simple greenside hazard to escape with a real chance of an up and down.